Several weeks ago, this post appeared as a guest post on improvedconfidence.com, but it has never appeared here. If you didn’t get over there to see it, maybe you’ll read it now. It’s a Friday bonus post. Plodding. What an unpleasant word. It sounds like something you do in the snow when you don’t have the right kind of shoes. And it is. But it is also a powerful way to work your way into confidence. At my worst moments, I’m certain the dictionary definition of plod could just as easily apply to the word life. According to Merriam-Webster Online, plod is a verb that means “to devote serious and sustained effort” and “to make progress in a clumsy, struggling manner”. I don’t mind devoting myself seriously to my life, but I sometimes feel my progress comes in very clumsy lurches and struggling bursts. At better moments, I know that every action I take is leading me forward. On my blog, So Much More Life, I encourage each of my readers to live a “simple, deliberate life” so they will get so much more from life than they ever imagined possible. 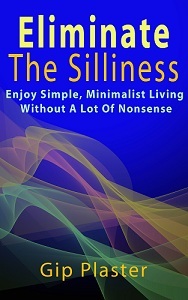 Living deliberately can slow you down, though, and sometimes, you must act even if you aren’t certain of your choices. Plodding along despite opposing forces and your own indecisiveness can lead you to confidence. Here are four ways trudging through — even when you aren’t sure — gains you confidence. The first step, you probably know, is the hardest. Objects at rest tend to stay at rest — that’s a property of matter that science calls inertia. You have to do something — anything — to get moving. Plodding works. Forward motion overcomes inertia. In fact, any kind of motion overcomes inertia. So here’s the best piece of advice I can give you: Do something. One simple action destroys this physical fact of our existence. 2. It makes some progress. It’s still progress. The progress you make on your life’s work while you’re reluctantly plodding through the tough times still counts. You’re still getting something done, and if you work smart, it’s progress you’ll never have to make again. Laying the groundwork for many of life’s opportunities involves some tedious, menial work anyway. You’ll be grateful to have some of this out of your way once your path becomes clear to you. You can never be sure whether a decision or an action will improve your standing in the eyes of a friend or business associate — or decrease it. Ultimately, it doesn’t matter what others think, but you may want to know who stands with you. Taking action on a project shows others your resolve and gives them a chance to support or follow you. You don’t need negative people drawing away your energy, but you might be able to use the help of someone who is aligned with you. 4. It closes doors you want to close. And here’s the best part: As you move along, gathering the support and help of those who see your positive progress, you’ll find momentum building behind you. It gives you the courage to open every door that comes before you — and to close the ones that don’t lead to your goal. Once you get moving, you see some progress. Once you see some progress, other see it, too, and join you. Then, with every door available to you, you have the courage to close the ones that lead to life’s dead ends. You see, confidence is consciousness of your own power. Once you’re moving, begrudgingly or not, you’ll feel the enormous power that’s available through you. It’s power to take uncomfortable first steps, move easily through life’s systems, effectively lead others and make firm decisions that will serve you well. That’s confidence. And that’s also how you get so much more from life than you ever imagined possible. It’s good to see a comment from you again, Betty Jo. I’m glad you’re still here. As I say, plodding works. When you don’t feel well or when you don’t know what to do next, do something. That’s what I’m doing this morning, actually! Hi Gip, You’re right. Plodding is so under-rated. Yet it may get you going and making progress, and, as you say, that gives you confidence. The worst thing is feeling stuck. By comparison, plodding is positively energizing. I’d never thought of it quite that way before.